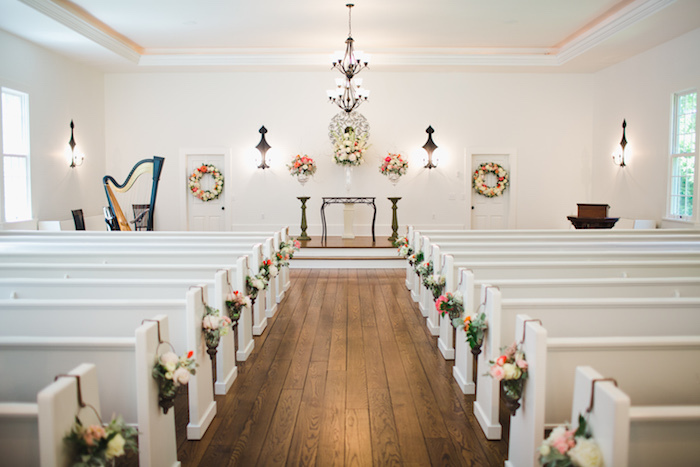 The Chapel @ The Morris Estate has been providing a breathtaking backdrop for weddings since 1938. Local entrepreneur and philanthropist, E.M. Morris, purchased parcels of land in Southwest Michigan along the St. Joseph River with a passion for reforestation. He and his family continued to expand the farm and had many unique structures built or placed on the property. Today couples can become part of the Morris history with a wedding ceremony in The Chapel. Recent renovations to The Estate have created a 2800 sq ft luxurious private suite within the main home for overnight guests. This space is perfect for bridal parties or family members. The stunning grounds include walking trails along the river, additional water features, and quaint bridges spanning the ponds. A screened picnic pavilion and campfire ring offer a fun outdoor adventure for overnight guests as well. The only feature of The Morris Estate matched by the captivating beauty is the hospitality. With onsite owners and a staff obsessed with details and service, The Morris Estate strives to give couples more than just a well-planned event. Our goal is AN ENCHANTING WEDDING EXPERIENCE. 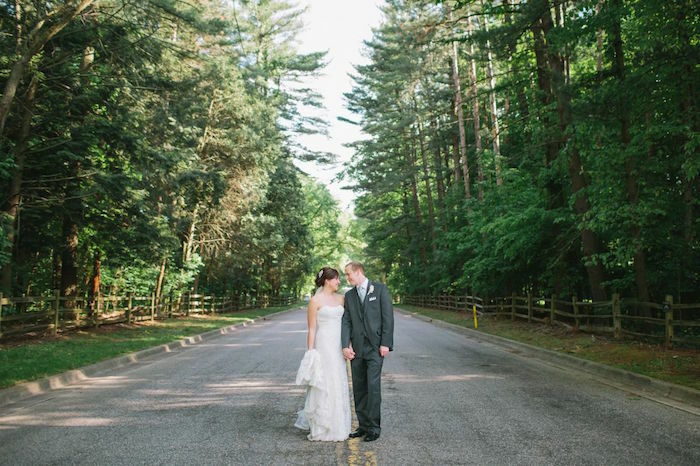 We welcome each wedding couple not only into our venue, but into our hearts. 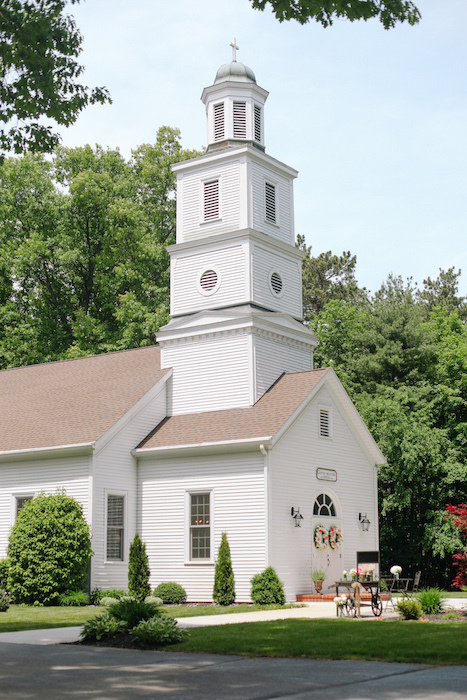 The quaint white wedding chapel has vintage charm yet offers modern conveniences. These include dressing lounges, hair and makeup vanities, air conditioning, audio equipment, floral refrigeration and extensive decor inventory. Premium Service Packages are available to add day of coordination services, parking attendant, lunch, wedding stamp, decor, and access to our stunning covered bridge and ponds for photos. Multiple reception venues allow couples to create a party specific to their style. Outdoor receptions are available under a white tent surrounded by the natural forest and river setting of The Chapel grounds. Small, intimate receptions or rehearsal dinners can be set up under the covered bridge or in the screened cedar pavilion. Indoor receptions for up to 150 can be accommodated at The Supper Club, a comfortable and stylish banquet hall located 10 minutes from The Chapel. Onsite accommodations at The Estate allow the couple, bridal party, or family to create a destination wedding experience.